Have you made some healthy changes in the New Year? Fantastic! Occasionally when we start a healthier eating plan, we can find ourselves getting into a rut with our food choices. What's the solution? Find ways to beat the boredom with some new recipes! Looking for a tasty way to jazz up that otherwise boring grilled chicken breast or steamed veggies? 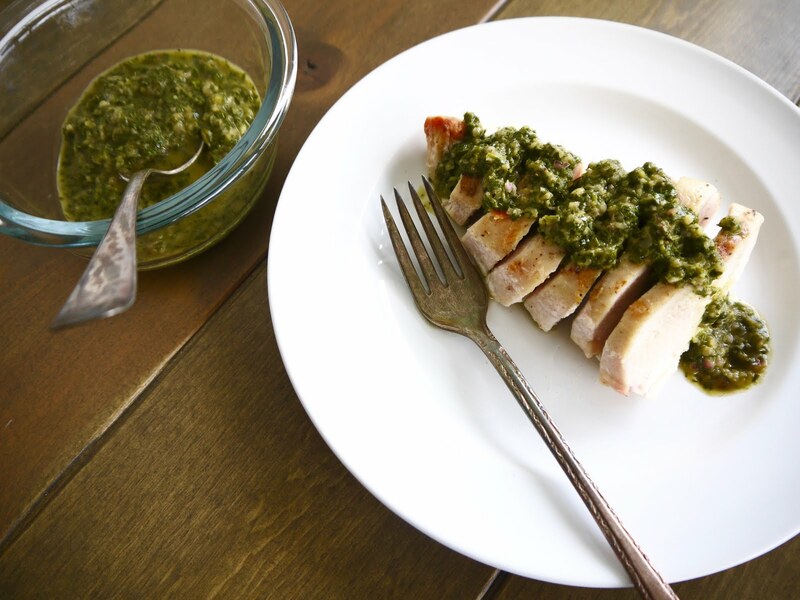 Chimichurri is your answer. This sauce is a blending of herbs, onion, vinegar, and oil, to form a pureed spread. It's fantastic on everything. Check it out in my Chimichurri Butter Bean Salad too! Combine all ingredients in a small food processor. Chop until a course puree is formed. Serve immediately, or refrigerate until ready to use. Will keep in refrigerator for ~ 1 week in a covered container.